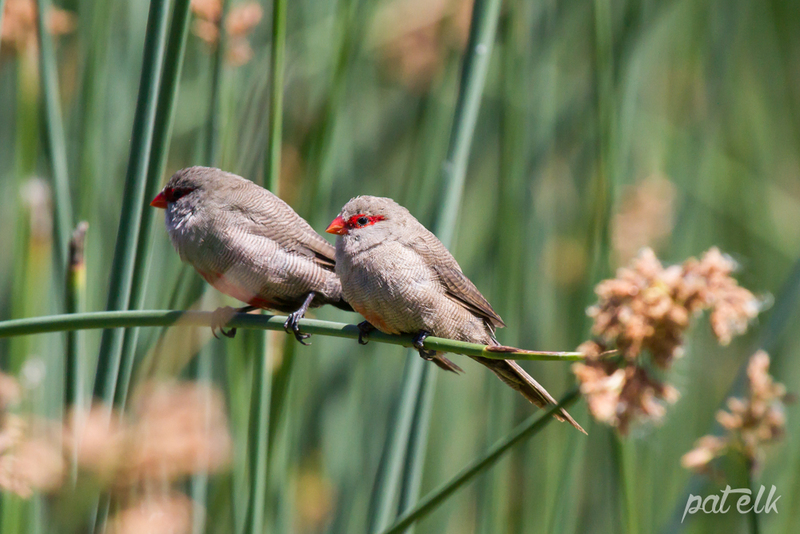 The Common Waxbill (Afrikaans name, Rooibeksysie) is a pretty little bird with his grey plumage, red chest and red mask. We call him the masked bandit. Often seen around grassy areas near the water, they crowd around gobbling up all the seed they can find. We often see them at Intaka Island in Century City.